Four seasons of fun for explorers of all kinds, Adelaar is a distinctly different destination in scenic and easy-to-get-to Upstate New York. With 1700 acres of sport and entertainment experiences upon an expansive, natural landscape, Adelaar is the perfect place for any adventure. 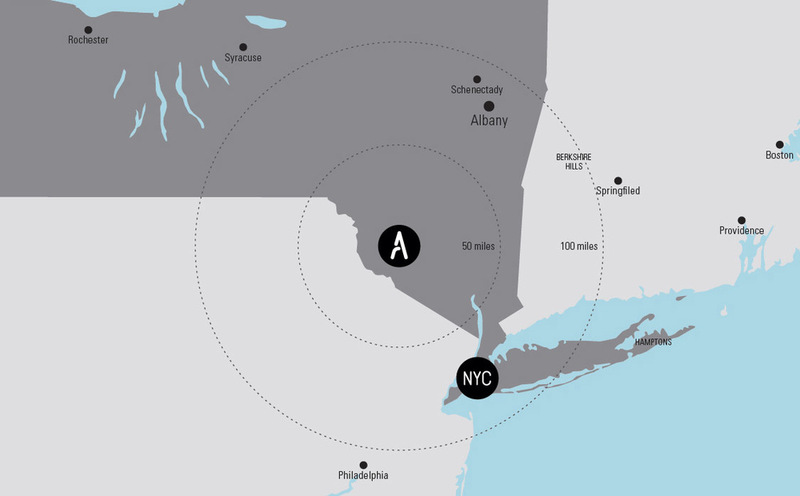 Just off Route 17 and less than 100 miles from New York City, Adelaar will provide four continuous seasons of entertainment and adventure for visitors, and year-round economic impact for Upstate New York. For resort vacationers and local neighbors, Adelaar is home base for a complete Catskill experience. Woodlands, rolling hills, mountain streams and open meadows provide an idyllic setting for outdoor activities like skiing, ice skating, hiking, biking, fishing and watersports (to name a few). Indoor leisure — spa treatments, live shows, casual and fine dining, shopping, movies, and more — makes Adelaar an unforgettable, best-in-class hospitality experience that will keep visitors coming back, again and again. Comfort and excitement, nature and entertainment; Adelaar elevates a beautiful environment to meet the needs and expectations of its discerning guests. The result is a fully integrated and entirely new destination and vacation experience. "As part of the redesign, holes from both the current Monster Golf Course and the Old International Course will be used, and drives will range anywhere from 100 to over 500 yards."